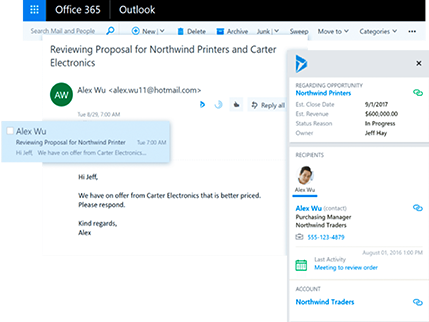 Create personalized sales documents and email templates for your sales team. Contact a potential customer with just one click and have all relevant information readily available. 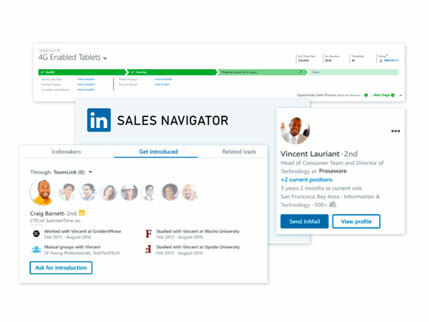 Connect with your customers on LinkedIn to get more information about their company and its employees. Easily collaborate to find the information needed to increase sales. 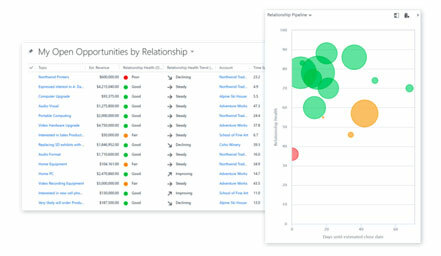 Make it easier for your sales department to tap into social insights about prospective buyers. 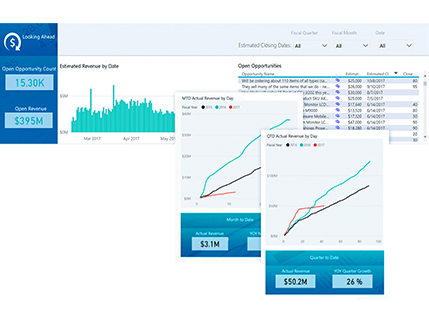 Meet the unique needs of your organization with a modern business platform that makes it easy to tailor and extend Dynamics 365 for Sales. Integrated business and productivity applications infuse all your data to proactively guide employees to optimal outcomes and drive your digital transformation.